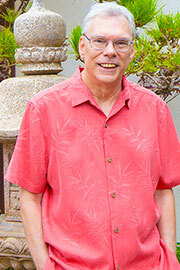 Alan Brennert is the author of Honolulu and Moloka'i, which was a 2006-2007 BookSense Reading Group Pick and won the 2006 Bookies Award for the Book Club Book of the Year. He won an Emmy Award and a People’s Choice Award for his work as a writer-producer on the television series L.A. Law, and he has been nominated for a Golden Globe Award and for the Writers Guild of America Award for Outstanding Teleplay of the Year. His story “Ma Qui” won a Nebula Award. He lives in Southern California, but his heart is in Hawai'i.